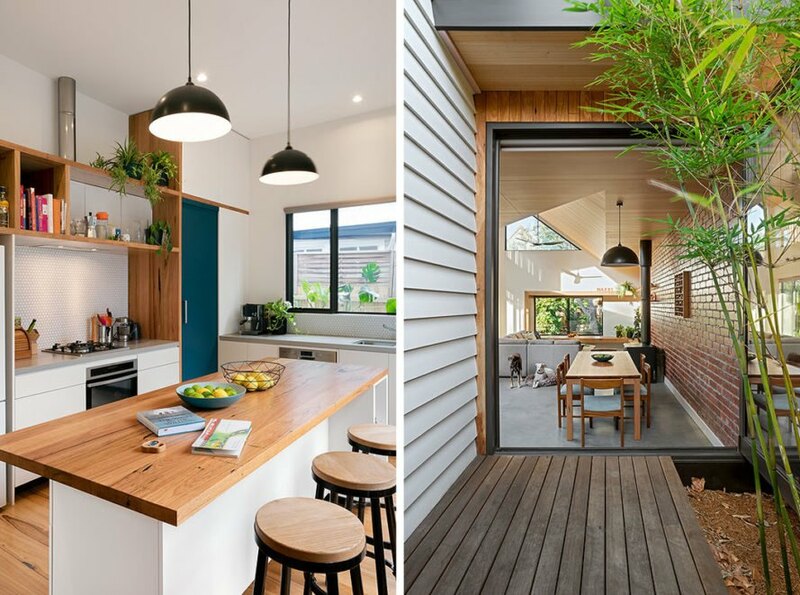 In one of its latest eco-conscious retrofits, Australian architecture firm Green Sheep Collective has given a single-fronted timber Victorian cottage a sustainable transformation in inner Melbourne. The renovation and expansion project combined recycled and eco-certified materials with low-tech, passive solar principles to reduce the carbon footprint of the home while improving livability. Filled with light and contemporary flourishes, the updated house — named Magnolia Soul — has also been designed to embrace the outdoors. 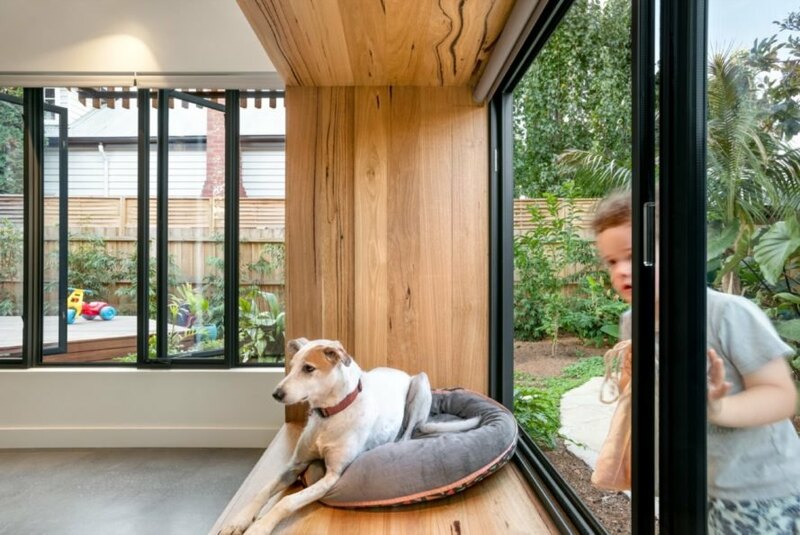 Commissioned by a young family with pets, Magnolia Soul was designed with an emphasis on spacious indoor-outdoor living as well as healthy and eco-friendly materials. During the renovation, the architects preserved a mature magnolia tree — a stunning Magnolia x soulangeana — and turned it into a main focal point. In addition to the tree, the existing property conditions also informed the building’s siting, mass and volume, which were all optimized to follow passive solar principles. Moreover, the building footprint is minimized in favor of maximizing the garden area. 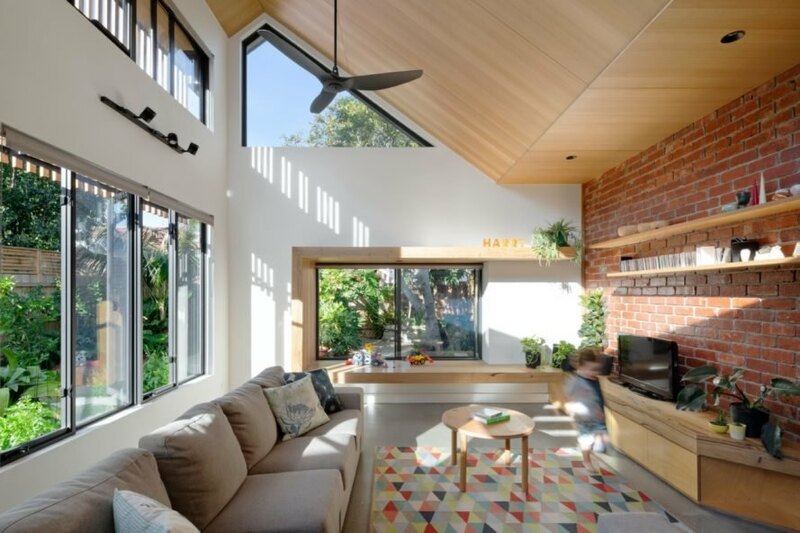 The home is oriented for optimal thermal comfort: north-facing windows draw in natural heat for winter, while deep eaves and strategically placed windows for cross ventilation combat unwanted summer heat gain. Low-E double glazing and effective insulation also accommodate a temperate climate. Recycled, low-emission and ethnically procured materials were used wherever possible. For added resource savings, the home is equipped with a rainwater tank that reuses roof runoff for the laundry and toilets. 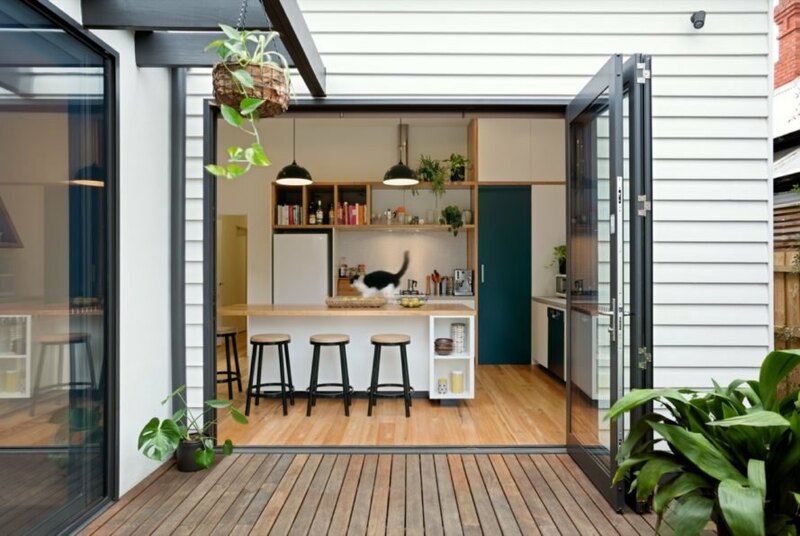 An old Victorian cottage in Melbourne received a stunning, sustainable retrofit by Green Sheep Collective. The home was commissioned by a young family with pets who wanted a home that embraced indoor-outdoor living. Tall ceilings and plentiful windows open up the interior. The kitchen and dining spaces open to the outdoor deck through glass doors. 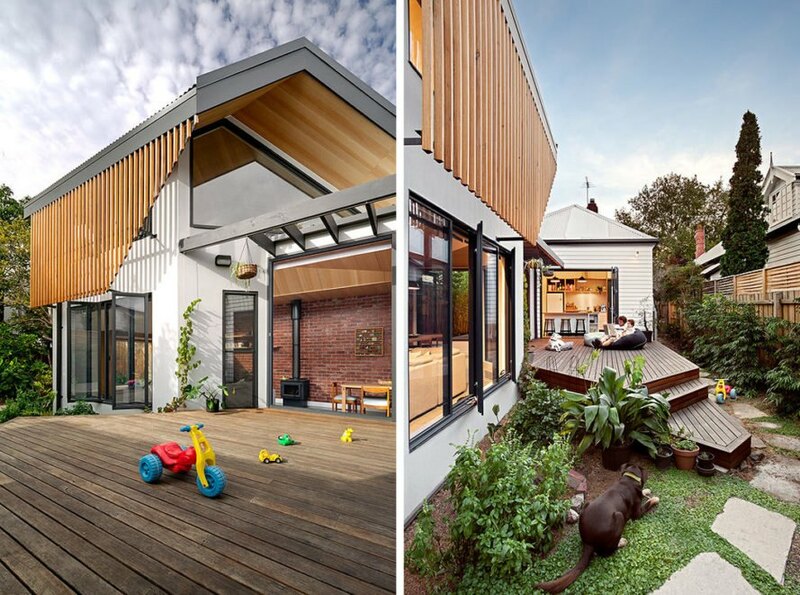 The home invites the family to transition seamlessly from indoors to outdoors. Eco-friendly and recycled materials were used throughout the home. The home also employs passive solar techniques, low-E glass and a rainwater tank.